The moment I settled down in the bus, a lady sitting next to me started talking in a strange language. When I said, “Beg your pardon, senorita”, she smiled and switched over to crisp English. “I thought you were Brazilian”. She could be right. No matter, what color you have, brown or black, white or whitish, you could be taken as Brazilian. She introduced herself as Amanda Machado from Salvador working as interpreter for European investors. She looked happy as she was just returning after the successful conclusion of a joint venture between a Netherlander and a local hotel chain, Prestana. We passed by a mountainous regions with a diversified topography like rivers, plateaus and plains. Cactus, sunflowers and other mountain flora were in abundance. The bus briefly stopped at Itaberaba, a medium sized city commonly known as “princess of the plateau.” “Don’t get carried away with such a glamorous name,” Amanda warned me and said, “There are dreadful old stories of cannibalism originating from this area.” We were drawn into an interesting chat when the bus stopped at Feira De Santana, “the backcountry’s princess”. The city had wide streets; 4-lane divided highways and was a busy junction of northeastern Brazilian motorways. “Anything special about this place, Amanda” I casually asked her. “Yes, donkey races but in November” she replied. In another two hours we were in Rodoviaria of Salvador and were looking towards different directions. I approached nearby uniformed personnel, a Gendarmerie, (Military Police) and asked for the direction of taxi-stand. He was kind enough to lead me instead of just pointing towards the direction. By now, I had confidence in Brazilians and got inside the taxi without any bargaining. I just showed a slip of a hotel in the Centro and in about 25 minutes, I was checking in Pousada Pilar, R. Directo, Do Santo, Antonio, 24, Cep, Salvador. Next day, I went up to the rooftop patio overlooking blue water of Todos os Santos Bay. I sat for a long time having a wonderful breakfast with regional cakes while enjoying views of the Salvador waterfront, and nearby churches and a fortress. When I stepped out of the hotel, I realized that I was in an elevated part of the city. A walk downhill was like passing through a time-tunnel. I strolled in the narrow and cobblestone streets flanked by small houses in their original pastel colors of rose, light blue, green, and yellow. There many museum and churches including an awe inspiring Sao Francisco Church with its exuberant gold-leafed Baroque interior, an impressive testimony to both faith and wealth. 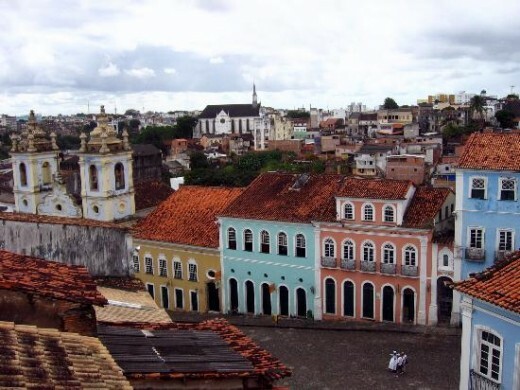 "Salvador has a church for every day of the year", as the saying goes. As I moved on, more surprises were in store for me. The city was situated along a cliff dividing it into two parts, upper and lower. These were linked by a cable-drawn rail (the Plano Inclinado), a giant public elevator (the Lacerda), some very steep roads and winding streets. I got down to the lower portion by elevator and walked through the waterfront, fish harbor and industrial district along the bay. Salvador appeared more African than Brazilian. Incidentally, it was Tuesday; the old town had transformed itself into a mini carnival with African drumming bands and samba dancing. The men drummed while women, dressed in laced skirts, danced and chanted, some going into trance. While moving late at night, someone whispered “muito peligroso”. I looked around and found a bearded person looking like a priest. When I didn’t understand, he told me through body language not to go further for safety reasons. There might be some muggers. I turned back and walked towards my hotel. In this magnificent city of scents, sights and sounds the city never sleeps..
By 16th July 2005, I had entered 24th day of my travel. Not much time was left and I decided to accelerate my movement. 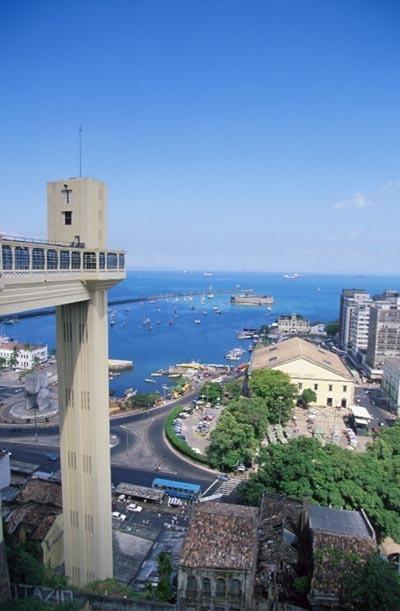 I left Salvador on the same afternoon and headed towards Rio de Janeiro. But distance of 1,865 km was formidable and I decided to break it down at Port Seguro, some 730 km away. The moment I got down the bus at Port Seguro, I was drawn towards a sign-post of Hotel Shangrila. It was the booking counter and a representative, Ruy Antonio de Oliveira, served me with a smile and carried out the necessary formalities. I stayed at the hotel for one day walking by the stunningly beautiful beaches with soft sands and clear green water. I availed an opportunity of a boat trip to the coral reefs and nearby islands. Finally, I boarded a bus for Rio de Janeiro. I reached the Rodoviaria at about 9 pm. The bus station was overcrowded and looked dangerous. I had already been warned of rip-offs, snatching and mugging possibility and so I went straight to the first sign of “Taxi”. The rate to Copacabana Beach was as high as $35 but this was the only way and I swallowed the bitter pill. I was partly compensated as the driver helped me find a budget hotel (Rio Copa Hotel, 370 Av Princesa Isabel). It was just 210 meters from the beach in a calm and quite backstreet and was not too expensive at US$85 per night with breakfast. Next morning when I walk upto the beach, I was shocked to see it completely deserted. It was July of 2005 and there were flood warnings. So no one was allowed to go near the beach in swimwear, mostly a thong or a strap. Nevertheless, the sparkling seawater was mesmerizing. The beach was facing the Atlantic Ocean providing bigger waves and cleaner waters. It was God given opportunity to walk for a long way in serenity and bliss. Copacabana ran for 4.5 km facing a concrete jungle made up of high-rise buildings. It was so fascinating that I decided to spend the whole day just by strolling up and down on the beach. Occasionally, I drifted to little cafes in the backstreets to eat or drink mostly toasted bread, fried eggs and fresh juices. Copacabana occupied a narrow strip of land between the mountains and the sea. Though the beach was deserted, the waterfront was thriving with skyscraper hotels, cafes, clubs and restaurants. The beach had a curved shape and gave magnificent views from all angles. 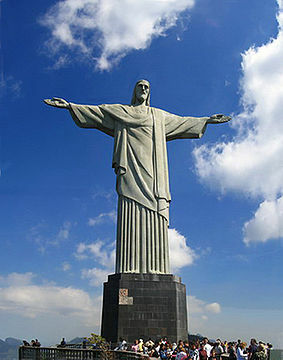 Next day, after a late breakfast, I sought advice from a waiter for visiting the landmark of Brazil, the statue of Christ the Redeemer. “No problem, go to Cosme Velho District by bus, buy ticket for the train and up you go”, he responded in faltering English but I got the message. I reached the nearby bus-stop and boarded a bus bound for Cosme Velho. The bus dropped me at small train-station. Paying US$ 20 equivalent I bought a two-way ticket and got into a red-colored train. For the next 20 minutes, I enjoyed a steep tour through the Atlantic rainforest. The train stopped near the statue and after climbing a dozen or two stairs, I came near the towering figure and felt drawn towards its outstretched hands for a hug. Nearly 40 meters tall with open hands extending 28 meters, it was a great attraction for tourists and locals alike. The top offered stunning glimpses of the city below. It had a unique location, sandwitched between mountains and the sea. It was truly a wonderful place. 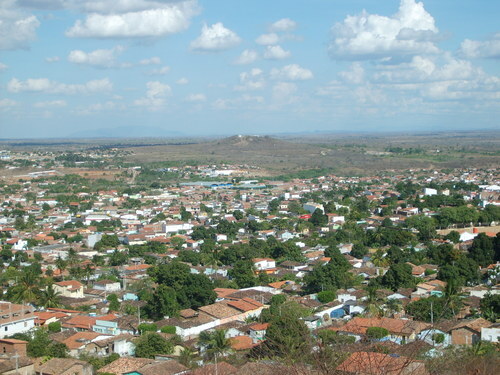 Brazilians call it “the Cidade Maravihosa”, a marvelous city. I remained there long after the sunset. The entire city glittered as street lights were switched on adding a yet another panoramic image to my lifelong memories. Rio had cheap and effective system of public buses. Except for my first day, I never used a taxi but reached my destination either by walking or taking a bus or subway. I went to Praia Vermelha on bus, bought a cable-car ticket for US$ 25 and got into a long queue waiting for the ride. In about 10 minutes, a glass-penaled car arrived and I occupied a window seat. The carrying capacity of the car was 75 passengers. Soon the car screeched upward for the first leg of the ascent taking us to a height of 220 m above sea level. It stopped at summit of Morro da Urca, a pleasant spot with amphitheatre, restaurants and shops. Second leg completed the voyage. 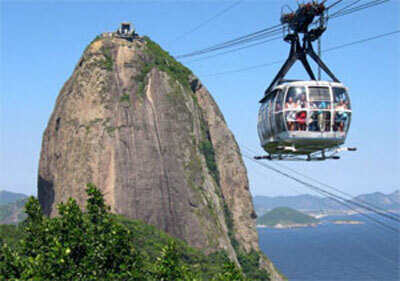 The cable car traveled a distance of 750 meters and scaled up to the top of Sugar Loaf Mountain, about 396 meters high. It reminded me of James Bond film Moonraker as it contained a fight in the same car between the hero and a fellow nicknamed as "Jaws" because of his cobalt teeth. The top offered a breathtaking view of the beaches and oceans, mountains and city as far as one can see. I stayed for about two hours before heading down on the same cable car system. After four days stay at Rio, I moved to Sao Paulo which I thought was my last leg of tour. This is what I had in mind but a man proposes and God disposes. There are many slips between the cup and lips. I had an horrible experience which I would narrate in my next hub - Travel with Hafeez to Brazil V. It would be the last, I give you my words. Thank for being patient. 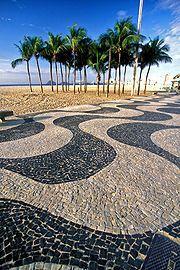 Nice places to visit when traveling within Brazil. 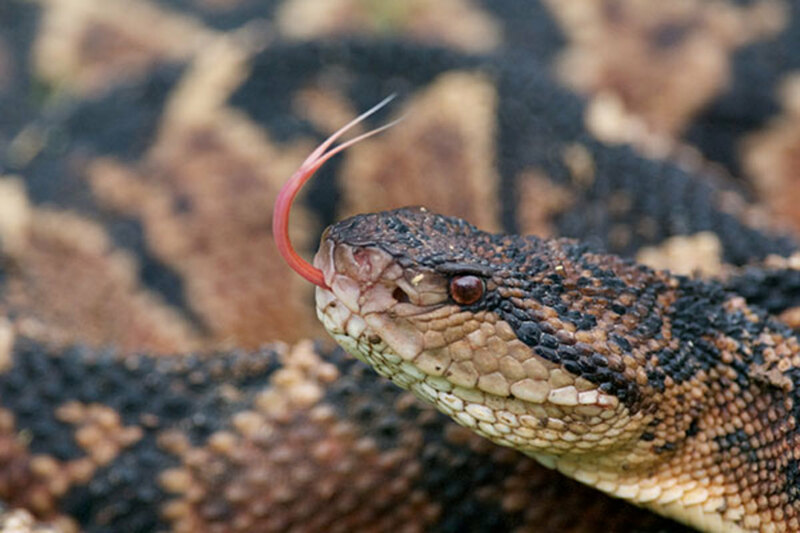 I am curious about that horrible experience you had. Sir, thanks for sharing nice experience "its wonderful"
Thanks Agusfanani for your comments. It's a wonderful experience you have hafeezrm. I look forward to reading your next trip. Thank you. Thanks Sir Jalees Faruqui for your comments. Nice to see you enjoying. Why don't you contact some good newspaper or journal and get your travels published in it. You could earn some extra sum and travel more comfortably. As always, a pleasure to read of Hafeez's travels. I can hardly wait to read about whatever disaster is about to come. Traveling on a budget as I do, paying $75 for a hotel and $25 for a cable car ride sounds like disaster enough to me! In all events, I have little doubt that Hafeez will make his exciting if unfortunate events to be interesting, informative and perhaps even a bit humorous. By the way, if you haven't detected it from his writings, let me assure you that Hafeez has a better sense of humor than any man I know! His ability to see humor even in a difficult situation is a quality I admire greatly. Thanks Mushtaq and Shahnawaz for your comments. Thanks Mr. Hafeez for sharing such wonderful traveling stories. Thanks Donna for your comments. Ah, Hafeez. I am enthralled by your descriptions. What wonderful memories you are gathering. Thank you for sharing. Thanks Peter and Kaloomba for your comments. Wonderful Hafeez ...I am enjoying travelling along with you. It is very nice. I have written certain travel experiences in India. May please go through these hubs.